Illuminate your photographic subjects like never before. 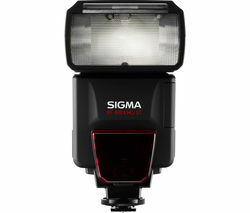 Our extensive range of flashguns shine a light on the latest flashgun technology courtesy of leading photography brands like Nikon, Canon and Sigma. If you’re serious about taking great photographs in diverse lighting conditions a good flashgun should be considered an invaluable part of your kit - our range includes models to suit a variety of budgets and demands, whether you’re professional, an enthusiast or just getting started. 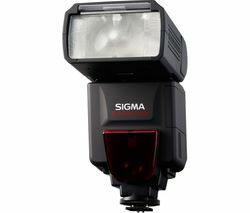 Our range of Sigma flashguns includes the popular Sigma EF-610 DG ST, an affordable but feature packed flashgun that’s designed to work perfectly with Canon or Nikon DSLR cameras. By working with the latest TTL auto exposure systems the EF-610 DG ST is able to achieve the optimal level of exposure every time. Our range of Canon and Nikon flashguns showcases cutting edge lighting control technology that will accompany you into the most challenging of photographic environments and consistently deliver impeccable flash control thanks to the latest intelligent through-the-lens metering technology. We also stock Manfrotto flashguns and lighting equipment including the Manfrotto Maxima-84 Hybrid+ ML840H LED Light, a compact yet powerful light source that’s both highly portable and extremely versatile.